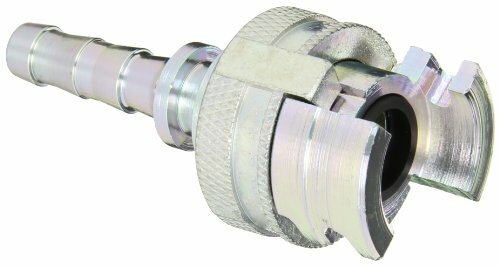 Dixon Valve P Series thor interchange pneumatic fitting. Nitrile (Buna-N) pneumatically energized seals are standard, temperature range -40 degree F to +250 degree F. Steel componentry is plated using ROHS Compliant Trivalent Chrome. Made of steel. 1/2-inches body size. Rated pressure 300 pounds per square inch. Temperature range of -40 degrees F to +250 degrees F.